The president has given the minister his backing ahead of his own testimony at the state capture commission. Following weeks of speculation about his apparent silence on the attacks against Public Enterprises Minister Pravin Gordhan, President Cyril Ramaphosa has spoken out in his support. He wants others to join him in backing the minister, who has the tough job of cleaning up and turning around South Africa’s corruption-riddled state-owned enterprises, reports Fin24. Speaking on Sunday evening in conversation with former Investec chairman Stephen Koseff at the biannual congress of the Gauteng chapter of the SA Jewish Board of Deputies, with Gordhan in the audience, Ramaphosa said the groups and individuals attacking Gordhan were “deeply embedded in what was going wrong in our country”. Despite not mentioning names, the most outspoken critics of Gordhan have been the EFF’s leaders, particularly Floyd Shivambu and Julius Malema. Former president Jacob Zuma’s son Edward also once attacked Gordhan with such vitriol that he was made to apologise for it by the SA Human Rights Commission. The individuals and groups who stand to lose out on their influence at parastatals are also vehemently opposed to Gordhan. 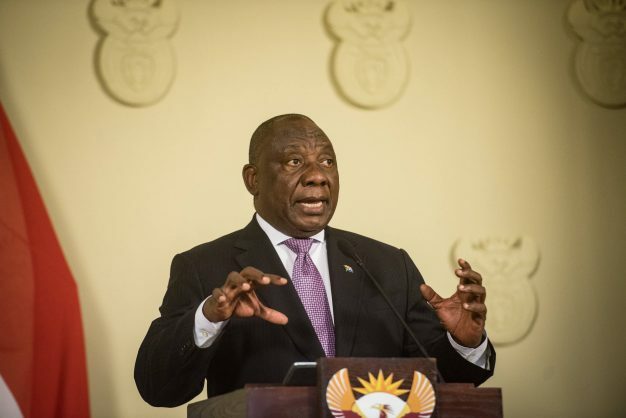 Ramaphosa reportedly described Gordhan as “brave” in his telling of the truth at the Zondo commission of inquiry into state capture. The president is also due to give testimony before Deputy Chief Justice Raymond Zondo. Ramaphosa called on the country to defend Gordhan. Gordhan and his daughter, Anisha, have been the subject of numerous recent attacks by Malema. The leader of the red berets claimed Gordhan’s daughter was allegedly awarded contracts by National Treasury and other government departments due to her father’s influence. However, numerous reports have made the point that Anisha’s work for corporate entities has not meant she directly benefited from any government contract while sitting on the boards of these companies, particularly while working for Investec. Malema has yet to provide any evidence for his claims. Speaking at the manifesto public consultation session at the Tshwane Metro Police Department headquarters yesterday, Malema said the media was quick to publish images of his family and cousin, who allegedly benefited from the VBS looting scandal, but seemed to protect the Gordhans. “Most of the people sitting here don’t know the face of the daughter of Pravin because [the Gordhans] are working with white monopoly capital and therefore cannot be corrupt. Our grandmothers and sisters – their pictures are everywhere. He said the recent allegations of his party benefiting from the VBS looting were just a ploy by “white monopoly capital” to silence the EFF for exposing white corruption. Gordhan told the state capture commission last week that his daughter had never done any business directly with the state. He challenged those attempting to attack him to come for him directly and leave his family out of it.